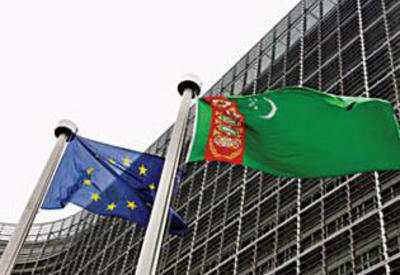 (Turkmenistan.ru) - Turkmen President Saparmurat Niyazov signed a decree related to implementation of projects on development of Ruhabat district situated in the suburbs of the Turkmen capital as well as on landscaping and development of the district's settlements, reports Trend. The Ministry or railways of Turkmenistan was authorized to sign a contract with Turkish company Tursen Turizm we Insaat Tijaret A.S. for landscaping of an 8-km strip of land between Kipchak and Abadan (former Bezmein) settlements at a total cost of some US $ 2 mln. All works should be completed by February 19, 2007. 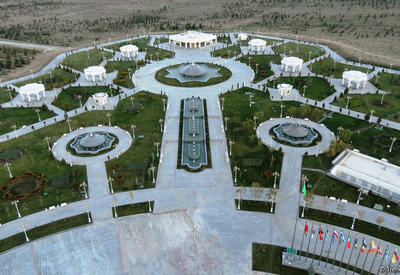 On this day, Turkmenistan marks one of its main holidays, Day of State Flag.